The Dell Vostro 1320 is a notebook laptop that is compact, lightweight and durable. It features an Intel Core 2 Duo processor and NVIDIA GeForce graphics. Besides that, it also incorporates easy to use data security options and integrated video communications. The Dell Vostro 1320 measures 316.9 mm x 23.8 mm x 243.2 mm (W x H x D) in dimension and weighs approximately 1.86 kg including WLAN, hard drive and 4-cell battery. Externally accessible ports include four USB 2.0 compliant 4-pin ports, 15-pin VGA video connector, RJ45 network connector, modem optional external via USB port, AC adapter connector, headphone jack 4-pin IEEE 1394 port, 54 mm Express Card slot and an 8-in01 media memory card reader. In terms of wireless features, the Dell Vostro 1320 has 802.11 a/g/n capabilities as well as Dell Wireless 355 Bluetooth capabilities. The Dell Vostro 1320 is powered by a 4-cell 34 WHr Lithium Ion battery. Alternatively, it can also be powered via a 6-cell 58 WHr Lithium ion battery or a 9 cell 87 WHr Lithium ion battery. There are also optional features including Biometric fingerprint reader with DigitalPersona software, Encrypted Hard Drive with Wave software and a trusted platform module 1.2 with Infineon TPM management Security Software. In terms of multimedia features, the Dell Vostro 1320 has a built-in speaker, and a 1.3 mega pixel camera that is situated above the display with a single digital microphone including Dell Webcam Central and Dell Video chat software. There is also a fixed, tray load 8x DVD+/- RW, Blu-Ray Disc (BD/ DVD/ CD read write) optical drive. In terms of primary storage, the Dell Vostro 1320 has a mobility solid state drive of 128 GB. As for the display, it is a Widescreen WXGA Anti glare display with TrueLife that measures 13.3 inches diagonally with a resolution of 1280 x 800 pixels. In terms of graphics features, the Dell Vostro 1320 incorporates Mobile Intel Graphics Media Accelerator X4500 MHD or a 256 MB NVIDIA GeForce 9300M GS Graphic Card. As for system memory, the Dell Vostro 1320 can support up to 8 GB of dual channel 800 MHz DDR2 SDRAM memory. Besides that, it also incorporates an Intel 45 Express chipset. As for its processor, the Dell Vostro 1320 incorporates an Intel Core 2 Duo Processor T9550 (2.66 GHz, 6 MB l2 cache, 1066 MHz FSB). Compatible operating systems include Genuine Windows 7 Home Premium 32-Bit, Genuine Windows 7 Home Premium 64-Bit, Genuine Windows 7 Professional 32-Bit, Genuine Windows 7 Professional 32-Bit with Downgrade Rights Service to Windows® XP Professional, Genuine Windows 7 Professional 64-Bit, Genuine Windows 7 Professional 64-Bit with Downgrade Rights Service to Windows® XP Professional x64 Edition, Genuine Windows 7 Ultimate 32-Bit, Genuine Windows 7 Ultimate 32-Bit with Downgrade Rights Service to Windows® XP Professional, Genuine Windows 7 Ultimate 64-Bit, Genuine Windows 7 Ultimate 64-Bit with Downgrade Rights Service to Windows® XP Professional x64 Edition, Genuine Windows Vista Business, and Genuine Windows Vista Business with Downgrade Rights Service to Windows® XP Professional. 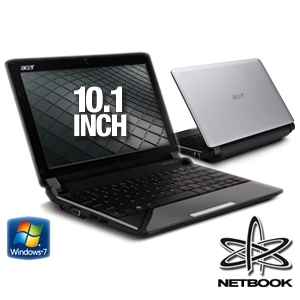 Acer America today debuts the next generation of its acclaimed line of Aspire One netbooks. These new Aspire One AO532h netbooks are packed with powerful features and performance to boost productivity and battery life, enhancing the mobile computing experience. Engineered for extreme mobility, the Aspire One utilizes the energy-efficient Intel® Atom(TM) N450 processor, integrated Intel graphics and the mobile Intel NM10 Express chipset to keep users connected while on-the-go. The Aspire One netbooks have a 10.1-inch CrystalBrite(TM) LED-backlit display, offering a broader viewing area for Web page navigation and data input. They also utilize a Multi-Gesture Touchpad, allowing users to pinch, flick and swirl their fingers across the touchpad for intuitive navigation. It also allows users to scroll, zoom in and out, and flip through web pages, photos, spreadsheets and more. Additionally, a larger keyboard – 93 percent standard size – is more convenient for typing. • Three stylish colors: Onyx Blue, Garnet Red and Silver Matrix. The Toshiba Satellite Pro L350 is a laptop notebook that hails from Toshiba’s line of Satellite Pro budget notebook series which are targeted at the business class as it spots a design that conveys a polished, professional image. In terms of design, the Toshiba Satellite Pro L350 is enclosed in a plastic casing that is available in a gray and black finish with air brushed aluminum siding to give it a bland professional appeal. The Toshiba Satellite Pro L350 measures 15.7 in x 11.5 in x 1.4 in (W x D x H) in dimension and weighs approximately 7.1 lbs. 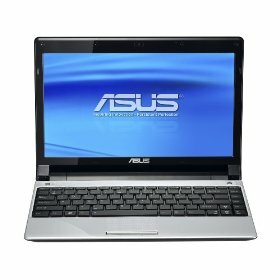 In addition to that, it operates on a Windows Vista Business operating system and comes with pre-installed drivers and utilities. The Toshiba Satellite Pro L350 comes in a package that includes the Toshiba Satellite Pro L350 notebook, battery, cables, optic disk, power adapter and user guide. Input devices consist of a web camera, keyboard and a touch pad. The Toshiba Satellite Pro L350 is powered by a rechargeable and removable Lithium-ion battery. In terms of communications, the Toshiba Satellite Pro L350 has a built in 56 kbps modem. Besides that, it also has a 10/ 100/ 1000 Ethernet Network adapter that provides it with Ethernet capabilities. In addition to that, the Toshiba Satellite Pro L350 also has Wi-Fi capabilities as well as support for data link protocol including V.92, Wi-Fi, 802.11a/ 802.11g/ 802.11n. There is also a wide screen TFT Active Matrix main display that measures 17.0 inches diagonally with a resolution of 1440 x 900 pixels. The display also incorporates TruBrite technology that provides for incredible colour depth and clarity, as well as clearer viewing from wider angle to allow for better presentations. In terms of graphic features, the Toshiba Satellite Pro L350 incorporates an Intel GMA 4500 MHD chipset with up to 128 MB of memory dedicated to videos. As for audio features, the Toshiba Satellite Pro L350 has built-in speakers. Not only that, the Toshiba Satellite Pro L350 also has an internal hard disk drive that has a capacity of 250 GB. There is also a DVD + / – RW DL optical drive built into the Toshiba Satellite Pro L350. The Toshiba Satellite Pro L350 operates on an Intel Core 2 Duo P8400 processor that has a data bus speed of 2.26 GHz and a processor FSB of 1066 MHz. It has an L2 cache that is of a 3 MB size. In terms of memory, the Toshiba Satellite Pro L350 incorporates 3 GB of DDR2 SDRAM with a data bus speed of 800 MHz. It also has the ability to support up to 4 GB of DDR2 SDRAM. The Toshiba Satellite Pro L350 also incorporates a full-size keyboard that has an additional 10-key pad for numbers, just like a desktop keypad. The keys are black, made out of plastic and raised to make them tactile in order to avoid typing mistakes. The touch pad is slightly indented into the casing with two mouse buttons situated a bit further below. Besides that, the Toshiba Satellite Pro L350 also has dedicated media keys right above the keyboard including mute, full screen, play/ pause, stop, fast forward and rewind.